Inspired by his rural Minnesota roots, country blues musician Charlie Parr showcases his classic Americana sound during an in-studio shoot. Inspired by his rural Minnesota roots, country blues musician Charlie Parr showcases his classic Americana sound during an in-studio shoot. His influences include Charlie Patton, Bukka White, Reverend Gary Davis, and Dave Van Ronk. He plays a National resonator guitar, a fret-less open-back banjo, and a 12-string guitar in the Piedmont blues style. He performs "Where You Gonna Be (When the Good Lord Calls You Home)" from his 2010 album When the Devil Goes Blind. 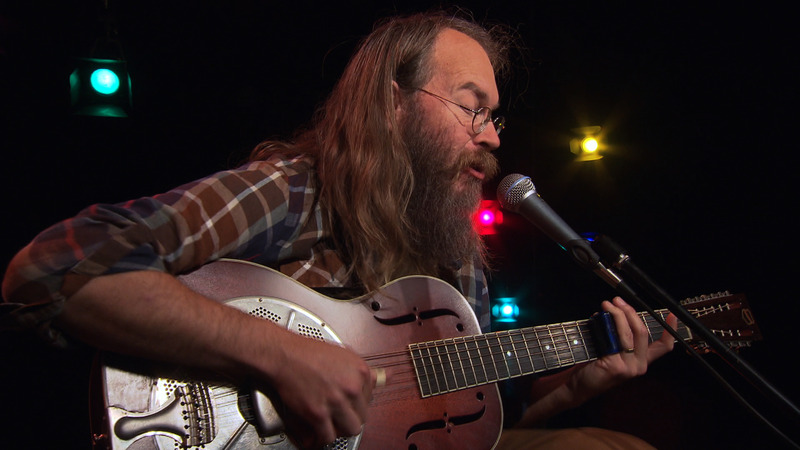 Country blues musician Charlie Parr showcases his classic Americana sound.